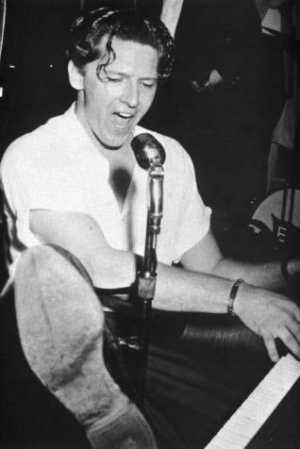 Jerry Lee Lewis is an American rock and roll and country music singer-songwriter and pianist. He is known by the nickname "The Killer". An early pioneer of rock and roll music, Lewis had hits in the late 1950s with songs such as "Great Balls of Fire", "Whole Lotta Shakin' Goin' On", "Breathless" and "High School Confidential". However, Lewis' rock 'n' roll career faltered in the wake of his marriage to his young cousin until his popularity recovered in the late 1960s.